Get Wireless Backhaul Connectivity Where You Need It! 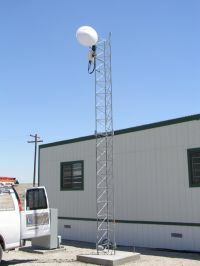 Wireless backhaul, also known as fixed wireless Ethernet bridges, point to point wireless ("ptp wireless"), wireless mesh, WiMax backhaul, LTE wireless, and point to multipoint wireless, (both licensed microwave links and unlicensed wireless bridges) can extend broadband connectivity further and faster than with structured cabling or fiber. Wireless backhaul also can be deployed to expand the last mile wireless connectivity for a fraction of the cost. In both urban and rural areas where there is either no existing cable infrastructure or the existing cable infrastructure is out dated, the implementation of a wireless Ethernet bridge proves to be more flexible and scalable than traditional methods. 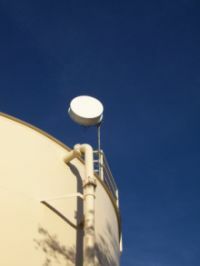 Wireless backhaul equipment costs are lower (even with ptp wireless such as licensed microwave links), easier and quicker to repair, quicker to upgrade, and costs less to maintain. AO Wireless provides the highest level microwave path analysis, wireless engineering and wireless installation skills to help bring the last mile wireless access to areas that need it. With the proper wireless site survey, planning, and RF design almost any area can benefit and receive carrier class communications. Whether there is a need to extend the reach of fiber to the last mile using a point-to-point wireless Ethernet link or provide a carrier class ISP network (WISP) by deploying a point-to-multipoint wireless network, there are multiple solutions available to meet the needs of any environment.